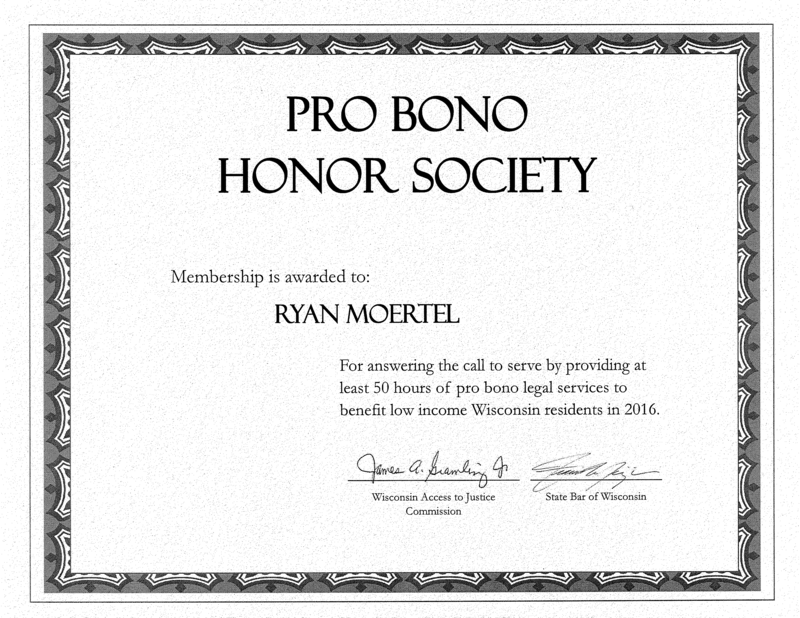 The law firm of Weld Riley, S.C. is pleased to announce Attorney Ryan Moertel has earned membership to the Wisconsin Pro Bono Honor Society. “I’m very honored to have received this special recognition and am proud to help ensure the right to counsel. We as attorneys have a responsibility to do our part to protect the rights of all of the citizens of our communities. 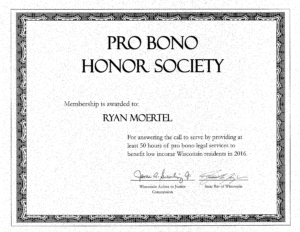 While the pro bono services that I provide to the Office of the State Public Defender are not the focus of my practice, I am proud to do my part to help ensure the right to counsel for everyone,” Moertel said. 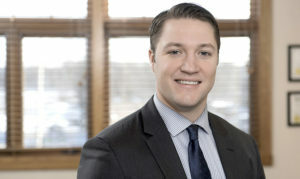 Moertel joined Weld Riley, S.C. in 2017, after practicing criminal defense throughout the Chippewa Valley with a smaller firm in Eau Claire. That experience allowed him to develop a passion for defending the rights of the Valley’s citizens. “Ryan has been a great addition to our criminal defense team, and we’re proud of him for earning this membership and for all of his pro bono work,” said Steve Weld, president of Weld Riley, S.C.